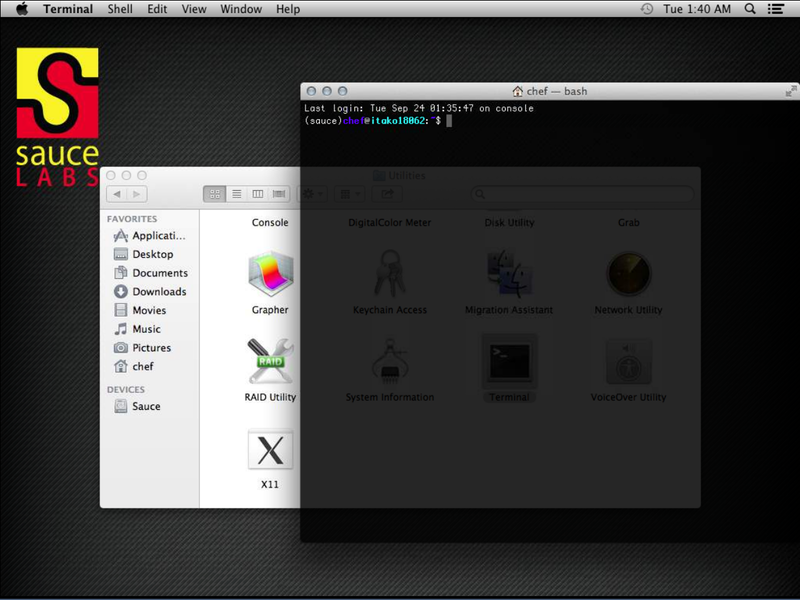 Disclaimer: My use case was fortunate to not require any sudo actions and all the software I needed was pre-installed. I went with "Try something different", registered a Free account with Sauce Labs, and fired up an Interactive Session for OSX + Google Chrome. 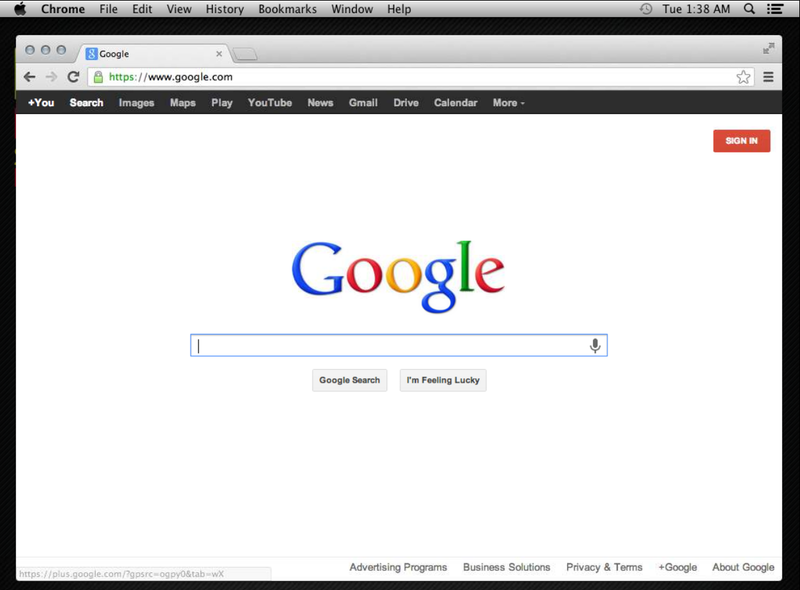 I closed out of Chrome, opened a new Finder window, navigated to /Applications/Utilities/Terminal, and got my bearings. 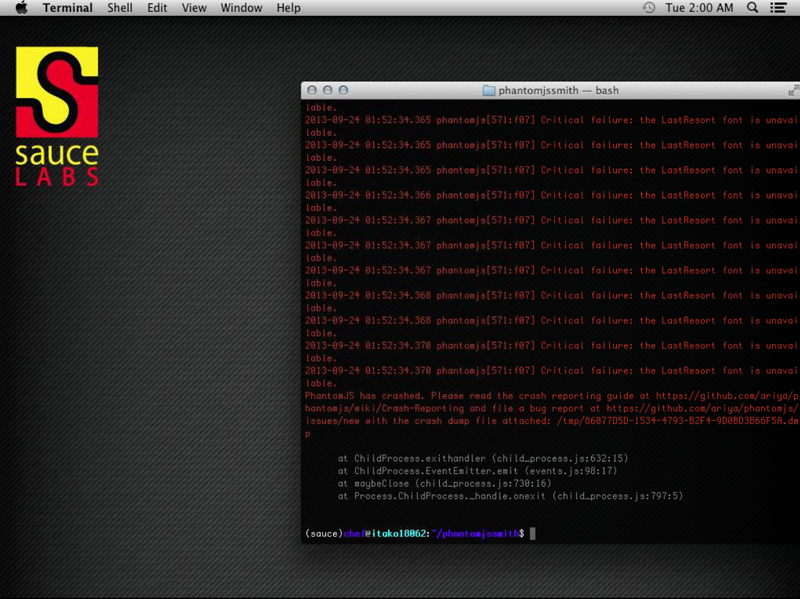 I tried to install brew but it required sudo priveleges so I went without it. I discovered that git and node were already installed. The last piece I needed was PhantomJS. 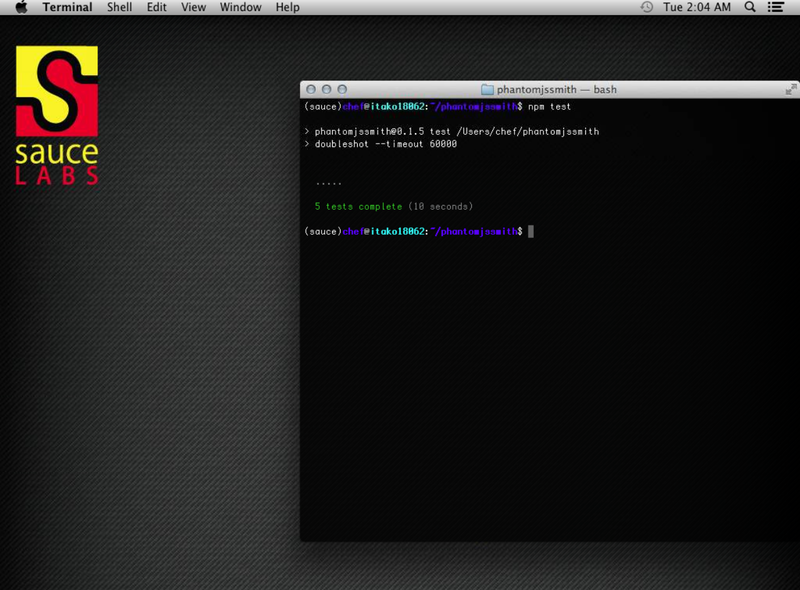 For this, I inspected the path, found a non-sudo directory, and installed phantomjs to that directory. 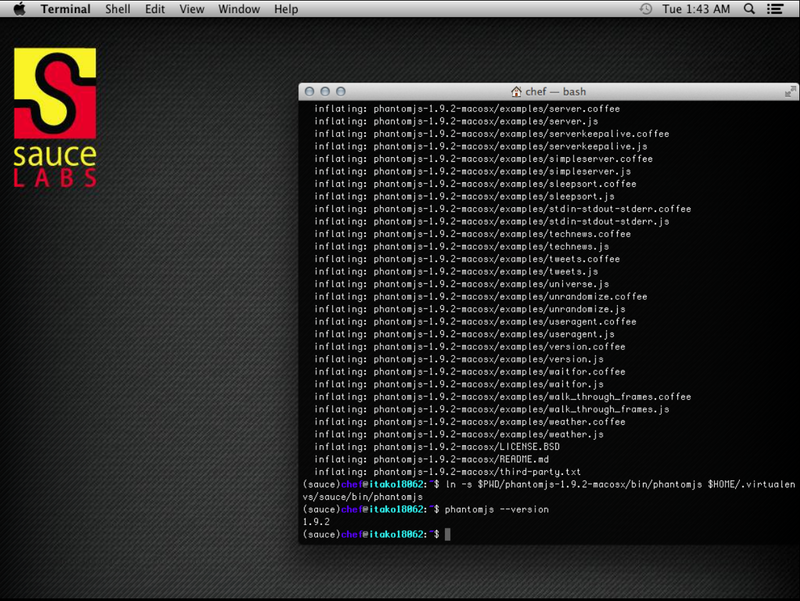 After that, I cloned my repository, installed the node modules, and ran the test. I had successfully reproduced the reported issue. # Error: Command failed: 2013-09-24 01:52:34.353 phantomjs[571:f07] Critical failure: the LastResort font is unavailable. # 2013-09-24 01:52:34.354 phantomjs[571:f07] Critical failure: the LastResort font is unavailable. Then, I hacked up the code, found the bug, created a branch on my computer, fetched/tested the branch inside of Sauce Labs, and verified the problem was resolved.